MADRID (Reuters) - Andorra will create a 'bad bank' to group the assets of Banca Privada d'Andorra (BPA) linked to illicit activity, it said late on Thursday, as the principality battles to rebuild the reputation of its banking system. Andorra, a small mountainous state whose economy relies heavily on financial services, took control of BPA this month after the U.S. Department of the Treasury said it was a channel for laundering the profits of international criminal gangs. Advisers PriceWaterhouseCoopers have been working over the past two weeks to separate the legal business of the bank from the illegal, government spokesman Gilbert Saboya said in a press conference late on Thursday. "We are setting up a good bank/bad bank scheme," he said, adding that next week the state would pass bank restructuring legislation to speed up the resolution of the BPA crisis. The scheme would help the state analyze different outcomes for BPA, which could including selling assets, a total or partial return to operations, or a liquidation, he said. Credit rating agency Standard & Poor's has said the problems at BPA -- which represents about a fifth of all assets and liabilities in the Andorran banking system -- could strain national finances. 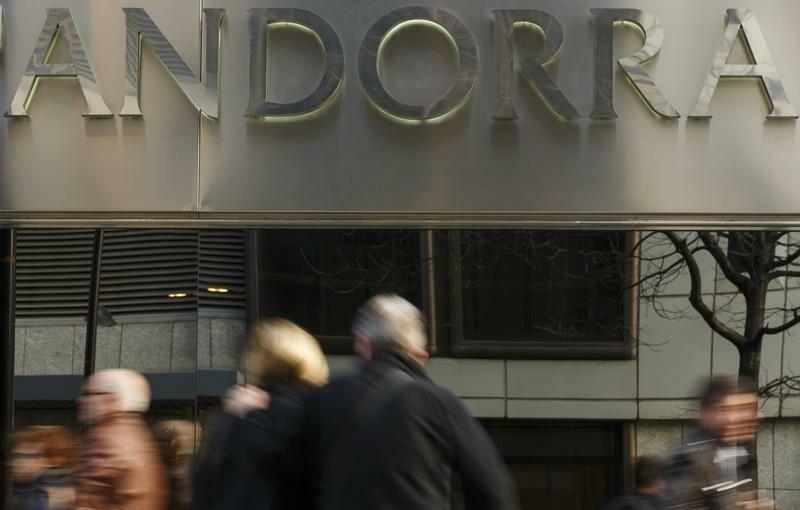 On Thursday, Andorra said it had approved a credit line of up to 100 million euros ($108 million) to help BPA's company clients deal with immediate operating costs such as salaries. State-appointed managers at BPA have capped cash withdrawals and the former chief executive of the bank has been arrested on suspicion of money laundering. Andorra has insisted BPA is an isolated case. BPA's Spanish unit Banco Madrid filed for bankruptcy earlier this month.